Britain’s most secure composite door has just got even better thanks to Ultion, a revolutionary locking system that when locked, stays locked! When it detects attack, a hidden lock within the Ultion automatically engages, so that even when snapped twice nothing gets past it. Leaving a key on the inside of the lock won’t affect its performance either. 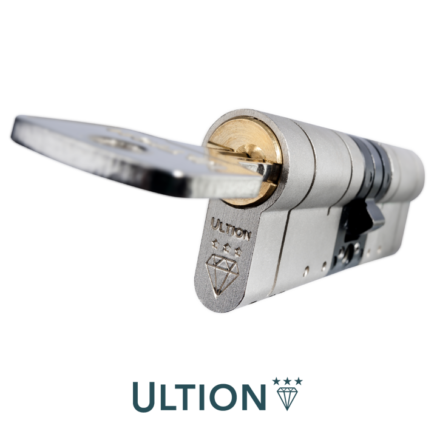 Rigorously tested, nothing beats the Ultion, not even the finest 3 star locks, making it the UK’s best and most secure lock guaranteed. The Office of National Statistics has found that 73% of home burglaries take place through a door. The Ultion, combined with a Solidor, will put your home totally out of the reach of intruders. Any attempt at forced entry will immediately see the Ultion go into ‘Lockdown Mode’ where a protected attack lock activates directly into the central cam, something you won’t get with any instant access lock. There’s no way past the attack lock, and we literally mean NO way, meaning ‘Lockdown Mode’ keeps you and your home in the safest of hands; nothing beats the Ultion. The Ultion lock has 6 anti-drill pins on the body. Meaning a burglar will not only have to drill through the first two in the sacrificial section of the cylinder, but then, if they want to snap the lock, they'll have to try and drill through 8 more anti-drill pins. 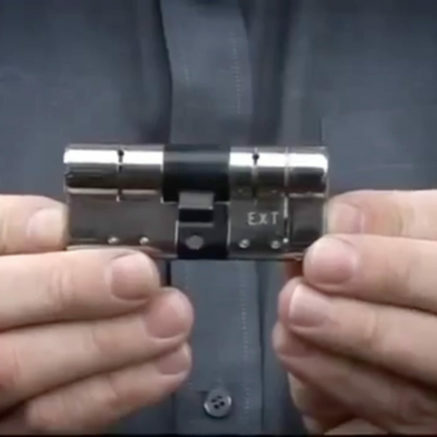 Michael Fraser on This Morning teaches on the importance of using a good quality lock in your home, like the Ultion lock, and how easy to could be to break into your home without a good kite marked lock.